Is your decorating style: Rustic Casual? We love the burlap trend, and it couldn’t be easier to decorate with. Many coffee shops actually give away their burlap bags for free! 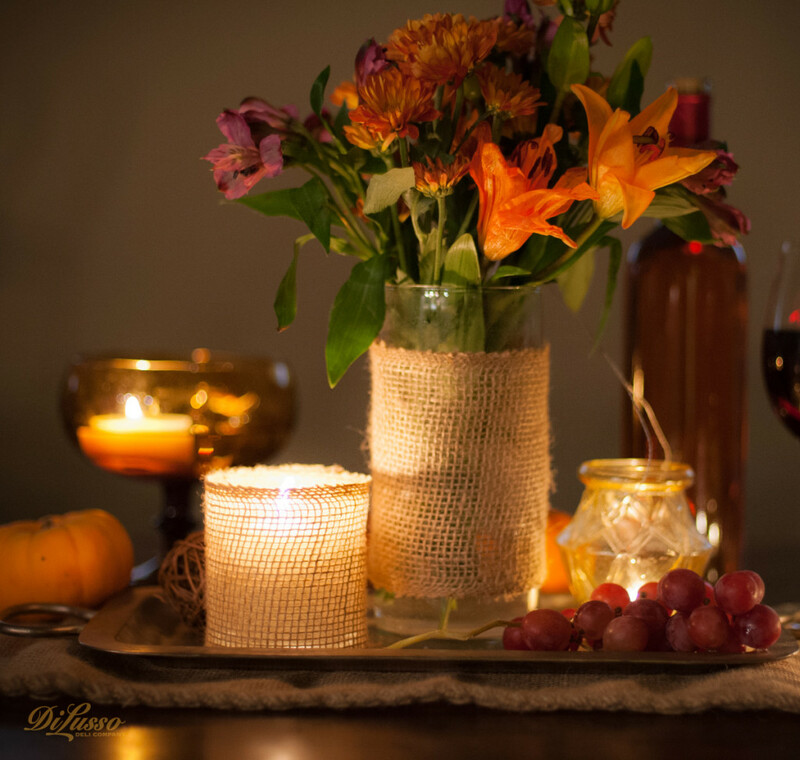 Create a rustic table runner, or wrap burlap around small glass votives for candles or flowers. Make extra while you’re at it, as these make beautiful and inexpensive gifts. Is your decorating style: Nature Inspired? Do you love the great outdoors and all nature has to offer? 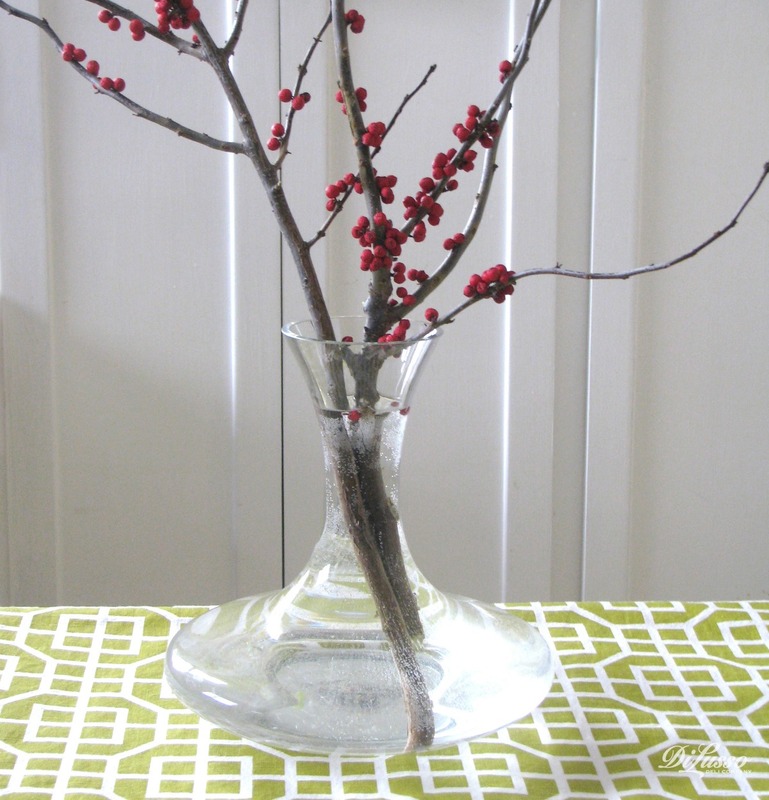 Bring nature indoors with berries, birchbark and branches. 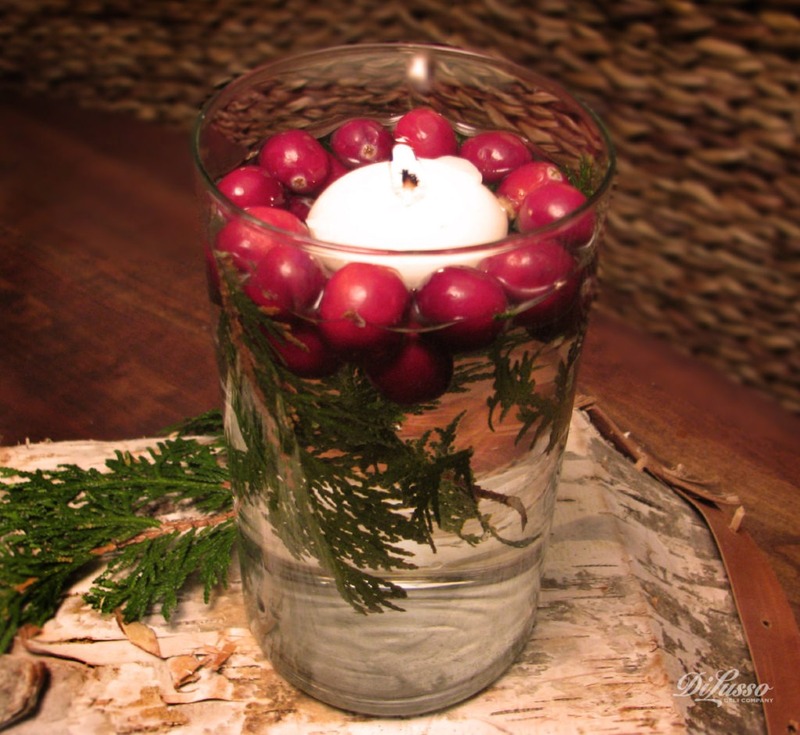 This floating candle idea is perfect for a natural table and for gift-giving. 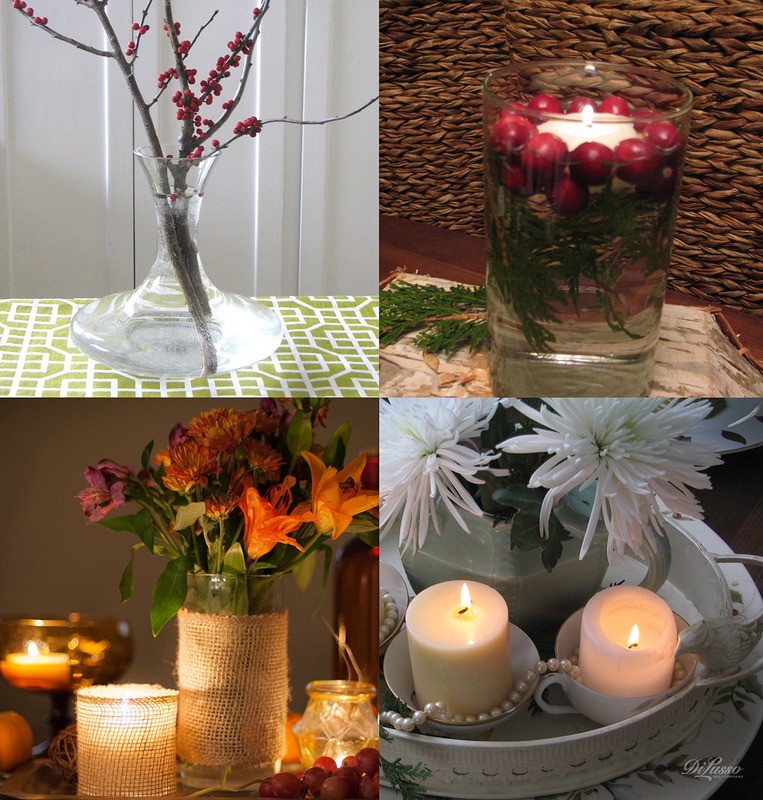 Take a simple glass vase, fill with berries or fresh cranberries, then add a few sprigs of pine or rosemary. Float a candle on top and enjoy the fragrant glow. Is your decorating style: Minimalist Modern? Do you love modern architecture, clean design and bold graphics? Decorate your table with geometric printsand have fun playing with contrasting colors and shapes.A bright flower in a single vase, or a series of vases, will bring a modern aesthetic to your table. Is your decorating style: Vintage formal? Do you love decorating with family heirloom pieces and vintage treasures? 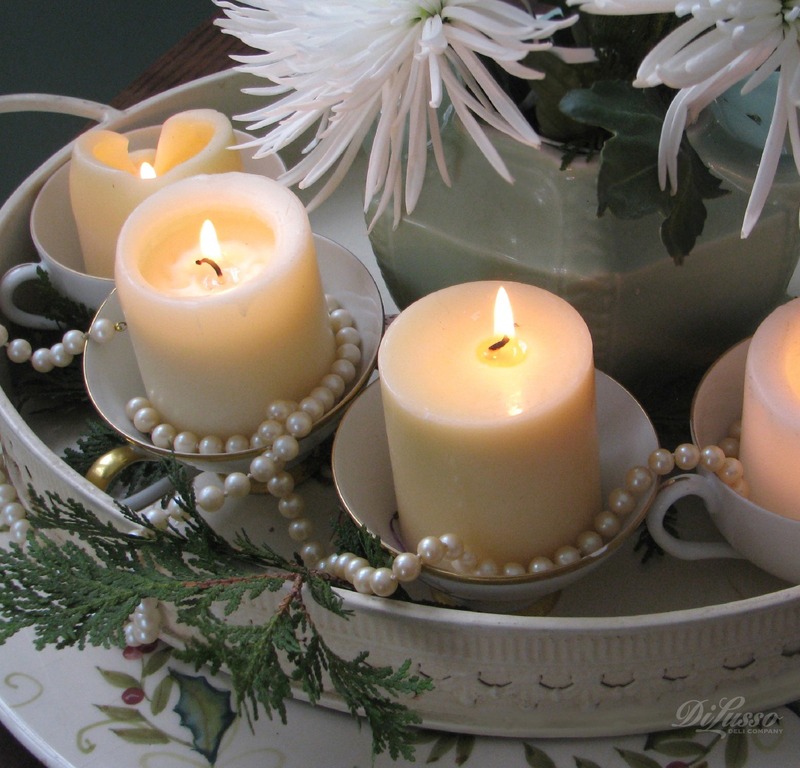 Have fun playing with vintage pearls, glass gems and sparkling ornaments.